This alert applies to organisations that engage health practitioners and will likely amend the NATIONAL – Health Practitioner Regulation module. Please note that the Act automatically amends the Health Practitioner Regulation National Law as enacted in the Australian Capital Territory, New South Wales (except for Divisions 3-12 of Part 8 of the National Law), the Northern Territory, Victoria and Tasmania. If South Australia adopts these changes, this will occur through amending regulations. For these changes to be adopted in Western Australia, an amending Western Australian Act is required. The Western Australia National Law currently exempts “treating practitioners” from the mandatory reporting requirement (discussed below) and it is expressed in the explanatory statement to this Act that the exemption will remain. Please be advised that the Health Practitioner Regulation National Law and Other Legislation Amendment Act 2019 (Qld) (the Act) passed its Third Reading on 26 February 2019 and received the Royal Assent on 7 March 2019. The Act is due to commence on 8 March 2020, unless proclaimed earlier. The Act will amend the Health Practitioner Regulation National Law Act 2009 (Qld) (the National Law). Below is a summary of some of the important changes it would institute. The primary purpose of the Act is to address concerns that the National Law, in its current state, discourages health practitioners from seeking medical treatment, for fear that a mandatory report under section 141 of the National Law will be made by their treating practitioner. Section 141B of the Act seeks to address that concern, by increasing the threshold for mandatory reporting by treating practitioners. Under the current section 141, a health practitioner is required to make a mandatory report if they form a reasonable belief that another health practitioner, for example, practiced whilst intoxicated, or placed the public at risk of harm because the practitioner practiced the profession in a way that constitutes a significant departure from accepted professional standards. The Act would amend the current section 141 to express that it does not apply to health practitioners (Treating Practitioners) who form such a reasonable belief in the course of providing health services to a health practitioner (the Second Practitioner). Instead section 141B would apply to Treating Practitioners, and the threshold will be a reasonable belief that the Second Practitioner is placing the public at “substantial risk of harm” by practicing the profession due to impairment, intoxication or a significant departure from accepted professional standards. Section 141B would maintain the mandatory reporting requirement for a Treating Practitioner who forms a reasonable belief that a student has an impairment that, in the course of the student undertaking clinical training, may place the public at “substantial risk of harm”. the extent to which the impairment can be managed with appropriate treatment. Therefore, for Treating Practitioners, the “substantial risk of harm” test would apply to all conduct that is notifiable conduct under the current section 140 of the Act (except for sexual misconduct). Mandatory reporting of sexual misconduct by Treating Practitioners is dealt with separately under section 141A of the Act. Contrary to the reporting requirements already discussed, the Act would broaden the scope of the requirement to make a mandatory report of sexual misconduct for Treating Practitioners, as they would not only be required to make a report where they form a reasonable belief that the Second Practitioner has engaged in sexual misconduct, but also where their reasonable belief is that the Second Practitioner is “at risk of engaging” in sexual misconduct. 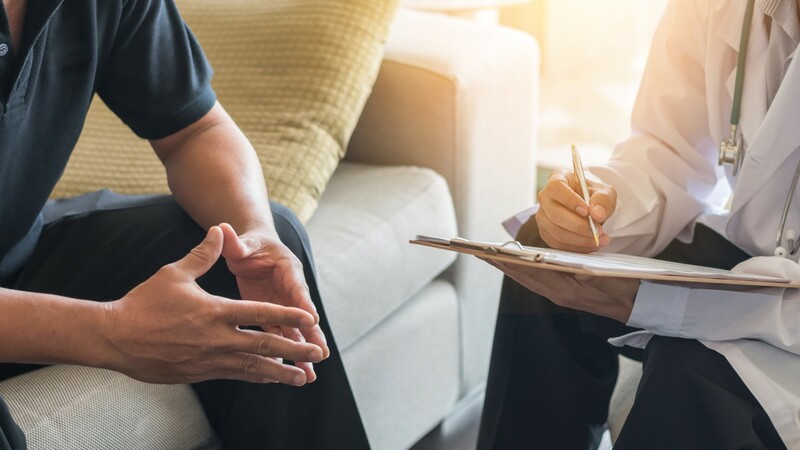 The explanatory statement to the Act states that the offence could apply where a patient practitioner who discloses a plan to engage in sexual misconduct, or describes behaviour that amounts to “grooming”. The current exemptions to mandatory reporting requirements would be maintained for Treating Practitioners (i.e. for matters dealt with under a professional indemnity insurance policy; the exercise of functions as part of a quality assurance committee; etc.). In response to a number of recent serious offences committed by persons who have falsely held themselves out as health practitioners, the Act doubles the maximum penalty for unregistered persons who incorrectly use restricted titles, engage in restricted practices or breach prohibition notices. For these offences, that is the offences under Division 10 of Part 7 (Title and Practice Protections – excluding sections 114 and 120) and section 196A (Offences Relating to Prohibition Orders), the maximum penalty will be raised to $60,000 for individuals and $120,000 for corporations. Significantly, the Act will also introduce a maximum penalty of 3 years imprisonment for these offences, which could be applied to the most serious breaches. Please click here to access the full Act.